Crawfish, crayfish, crawdad, Astacus Astacus — whatever you call it, rapu is a true Northern delicacy. Crayfish and crayfishing are steeped in tradition — while fishing, while cooking, and most definitely, while eating. We’ll get to the fishing bit later, but let’s talk about the feast itself. Typically, at least six crayfish per person starts the evening, followed by e.g. steaks, salmon or something more traditional, like Jansson’s Temptation. If you’ve got more than 10 crayfish per person to go around, they become the main course. Crayfish are consumed slowly, and always in company. The cooked crayfish are allowed to cool in their broth for a few hours or more, and are served cold. We usually use only salt, a bit of sugar, and dill to season the broth (but you can also add porter in the mix.) This way, the delicate taste is preserved. Each crayfish is like a miniature lobster, and is treated with respect. First the savoury broth is sucked out of the shell, the tail and claws are opened with special crayfish knives to get to the tasty meat, which typically is piled on buttered toaster bread, sprinkled with freshly cut dill — and savoured. The first tail is toasted with Vodka, or Aquavit (or whatever rocks your boat) and traditional songs are sung to further the merry proceedings. After the first tail, just keep on opening, sucking out the broth, assembling more claws & tails on your toaster bread…. and enjoying the company, the songs, and of course the booze, beer & wine. The season starts yearly at noon on 21 July, and crayfishing is subject to licensing. Crayfish used to have a minimum length requirement of 10 cm (4 in) nose-to-tail, but not anymore. However, anything below 8 cm (3.5 in) should really just be released back immediately. With luck, you’ll meet them a few years later. To catch crayfish, most use passive traps, although some prefer active crayfishing. As for the traps, there are quite a few models, but the two seen here are the most popular models. The traps are set at a depth of around 2-3 meters and left overnight. The next day, traps are checked, small crayfish are immediately released back, the bait is replaced and the traps are again lowered to the bottom of your lake, the riverbed or the seaside. That’s about all you need. If and when you find a good spot, just put the traps back for the next night in the exact same location. Crayfish are competitive, so if you had the luck of setting your trap near a crayfish’s hiding place, and got a good catch, a new crayfish will take over that spot almost immediately. Crayfish favor a rocky bottom with plenty of places to hide in. 100 years ago Finland was Europe’s biggest exporter of crayfish, with a yearly catch over 10 times that of today. Finnish crayfish was widely recognized as a true treat. That, of course, was before the crayfish plague wiped out most of the crustacean population. And the introduction of the nearly as delicious American Signal Crayfish didn’t help either (as they carried the disease, quite possibly being the original vector). Stern measures have been taken to limit the spread of the disease, and the native crayfish population has been rising slowly the last decades. The best way to stop the spread is to never move your traps from one body of water to another. And if you absolutely must do it, you need to kill the plague spores — which happens by keeping the traps for 12 hours in a fully heated sauna (or by letting winter take care of business). 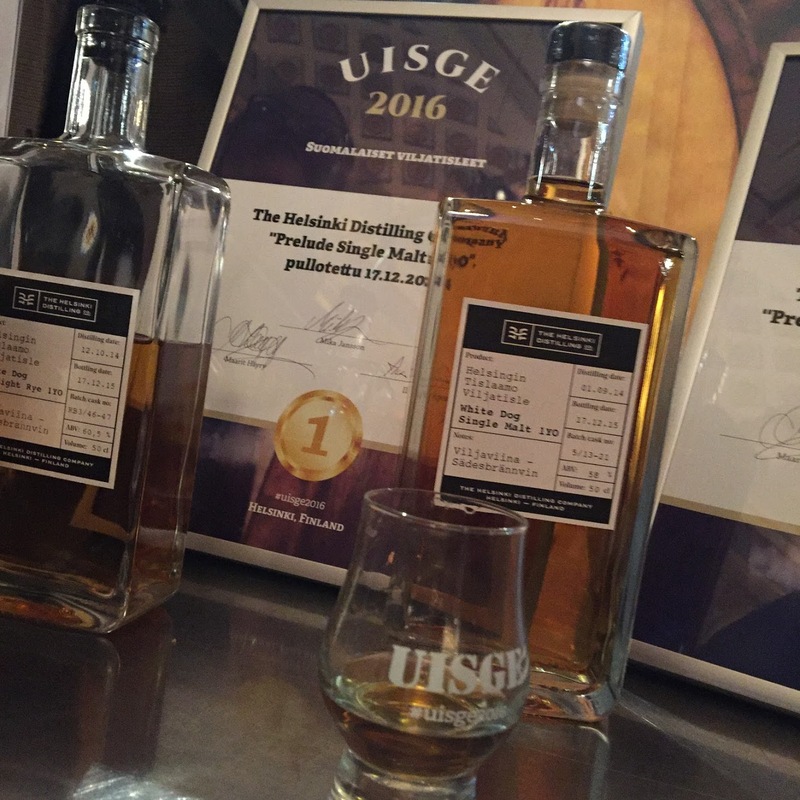 To savor some of the best whiskies around Living in HEL will be visiting the Uisge festival on 10 to 11 February 2017 — just like last year, and many a year before that. 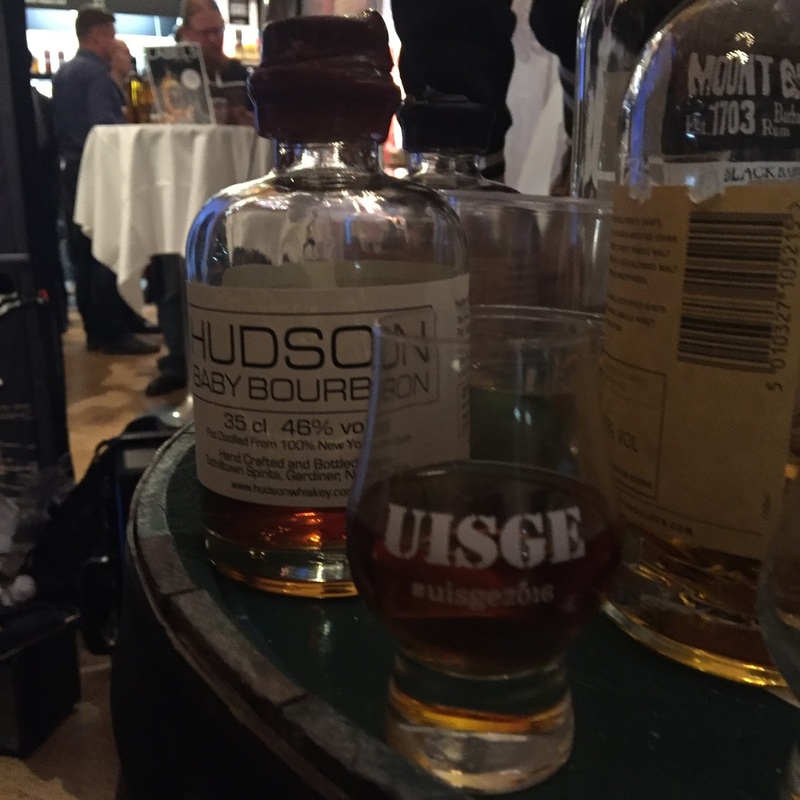 Traditionally, Uisge has been the “it” event for Finnish friends of all things whisky — Scotch, Irish, Bourbon, Rye, Japanese, Swedish, Finnish. But especially Single Malt lovers. The atmosphere is always nice, and surprisingly non-commercial. And that’s saying a lot, when all the big brands are present. It’s not a big bash, more like a low key, very enjoyable event, a meeting of minds with a fantastic, laid-back atmosphere. 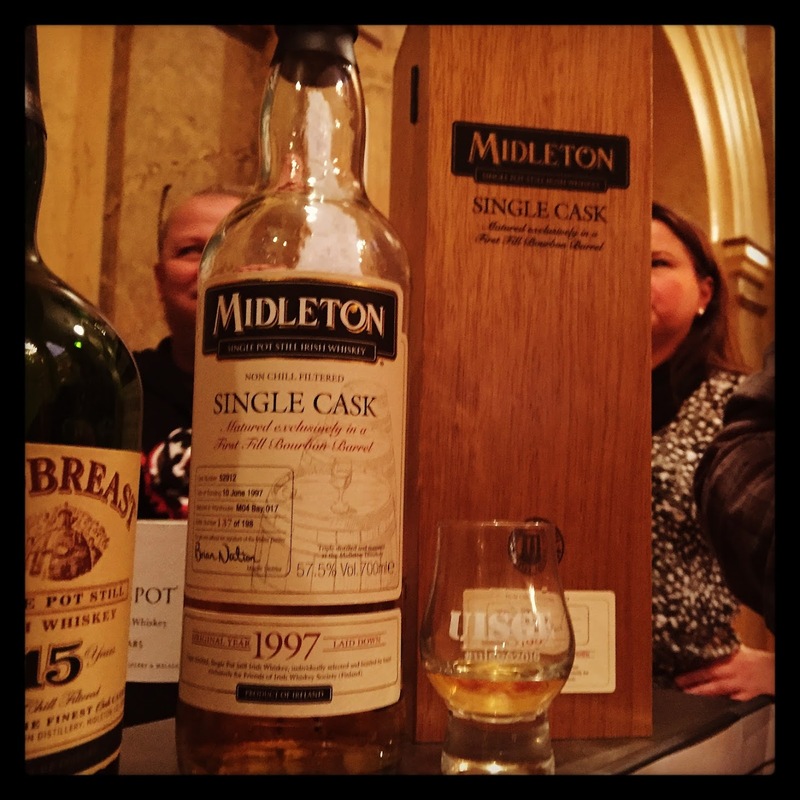 Everybody’s here for one reason only – the love of Uisce Beatha. A few whisk(e)y societies will also be present, including the Finnish Malt Whisky Society and the more elusive Friends of Irish Whiskey. If you’re looking to enjoy sampling superb whiskies later in the year, as well, both organize tastings, trips to distilleries and more — and will be looking for new members. If you’re like us, do come early, come on Friday and bring along a friend. Also, a notepad to jot down your favorites is recommended, because this being Scandinavia, you wouldn’t be able to buy a bottle of your newest favorite even if you tried. The tastings also have a stellar reputation both taste-wise and information-wise. Enquire ahead at uisge2016(at)yahoo.com (mention you’re of age and want to have this information). Tix are available here for 18€ per day. Smart money is on buying in advance, Uisge usually gets crowded so tickets may or may not be available at the door. The price of the entry fee includes a custom-printed nosing glass and the sampling prices are more than reasonable, even for the rarest bottling. Ice water is complimentary, so you can clean your palate and glass in between sampling a drop of the pure. 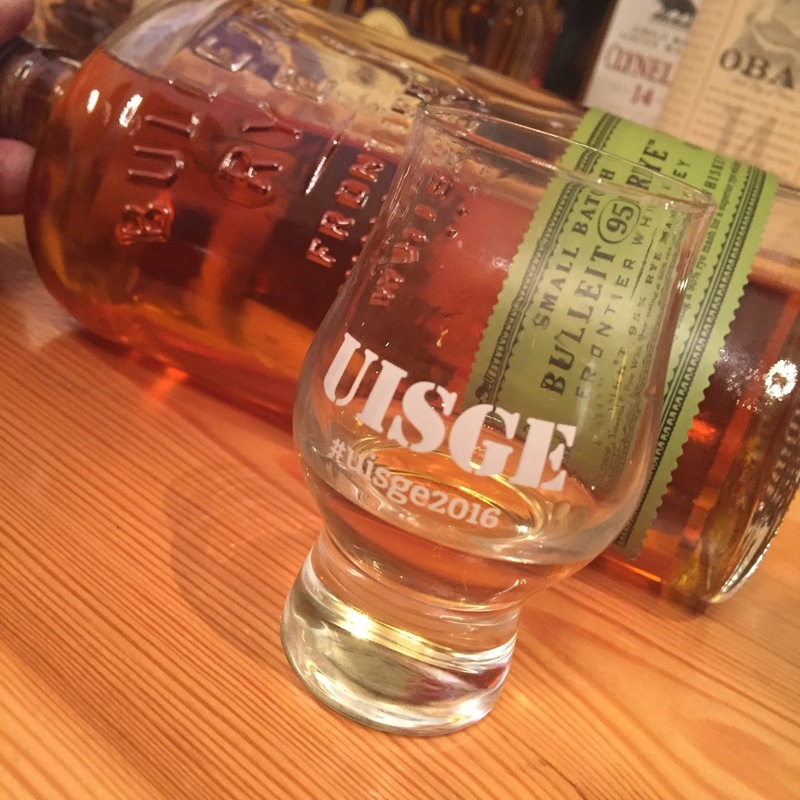 Like we said last year, a night at Uisge is guaranteed to leave you smiling what with all the socializing, sampling and good-hearted stories — and the whiskey, of course. Aberlour, Ailsa Bay, Arran, Auchentoshan, Balblair, the Balvenie, Blackadder, Bowmore, Buffalo Trace, Bunnahabhain, Bushmills, Chivas Regal, The Compass Box, Cragganmore, Douglas Laing, Hunter Laing, Edradour, Four Roses, Glen Moray, Glen Scotia, Glenfarclas, Glenfiddich, Glengoyne, Glengyle, the Glenlivet, Hart Brothers, Helsinki Distilling Company, Highland Park, Jameson, Jura, Kilchoman, Knob Creek, Kyrö Distillery, Lagavulin, Laphroaig, Loch Lomond, Maker’s Mark, Midleton, Mortlach, Old Pulteney, Redbreast, Sazerac, Springbank, Talisker, Teerenpeli, Tobermory, Tullamore Dew, Valamo Monastery Distillery, The Whisky Agency, and more… Some high quality rums will also be available. For a more complete and likely more up-to-the-minute list, see the Viskisieppo blog. The other high-class gem of Summer, besides the world-famous Flow, is all metalheads’ perennial favorite — Tuska Open Air Metal Festival. Both events take place in the same venue, Suvilahti a few kilometers to the north and east of city center. Drawing a crowd of around 30.000, it’s now in its 18th year and a perfect way to kick off the summer vacay season. There’s something magical about the mix of a brightly sunlit summer day and a constant battery of death, black, grind, thrash, industrial, old school metal and more from three stages — two big ones and a club. With Finland being the most metal country in the world it’s perhaps no wonder Tuska works as well as it does. Every year, bands ranging from the experimental to the obscure, from home-grown favorites to chart-toppers, there’s something for everyone. Given the urban setting, everything is easily accessible, facilities from bars to shops to food are great, plus there are no muddy fields with tents. After a day of moshing to the best, you still have time to hit the bars. What’s more, the city edicts finally allow the bands to play until midnight on Fri & Sat. If you’re in town already the week before, there’s extra gigs all week, and after-festival clubs, too. Check out the lineup from http://www.tuska-festival.fi/en/schedule — it’s on this year from 1 to 3 July. Oh, and senior citizens get free entry. 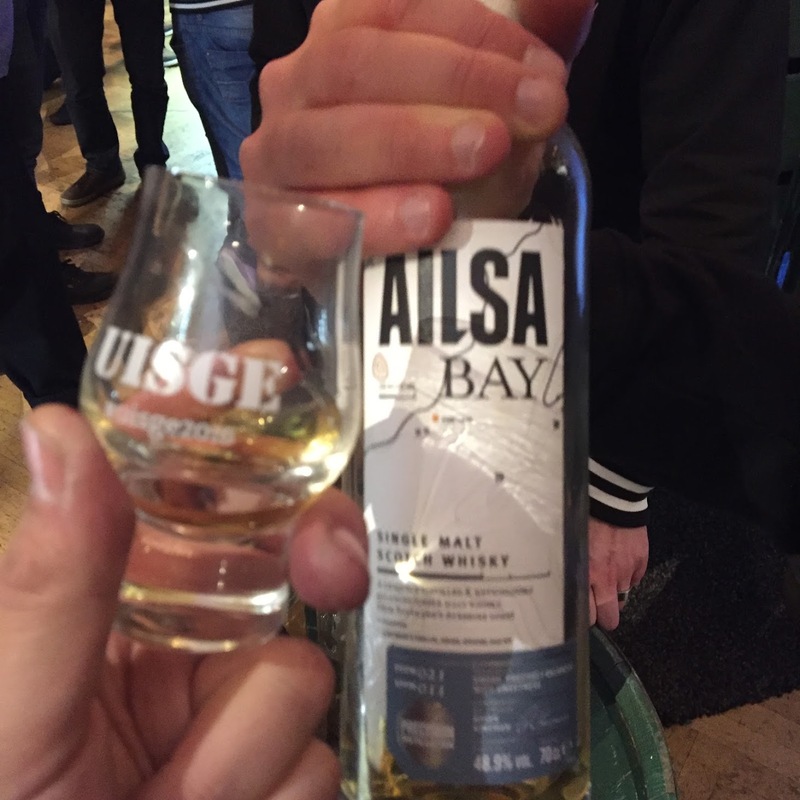 This weekend it’s again time for Uisge, the biggest whiskey (or whisky) event in Finland. I have been going there regularly for some years now. Excellent, low key event that gives you the chance to sample and savor the wonderful whiskies of the world over two days. Held at the Vanha Ylioppilastalo (Old Student House), the main area is usually very crowded. Importers, distilleries and brands big and small will have a booth in the main hall. The prices are reasonable even for the rarest bottlings. There’s also always special tastings either revolving around a theme or a brand on both days. Despite big brands being present there’s very little commercial about the event itself. It’s more a meeting of like minds, a place to sample, socialize and meet up. 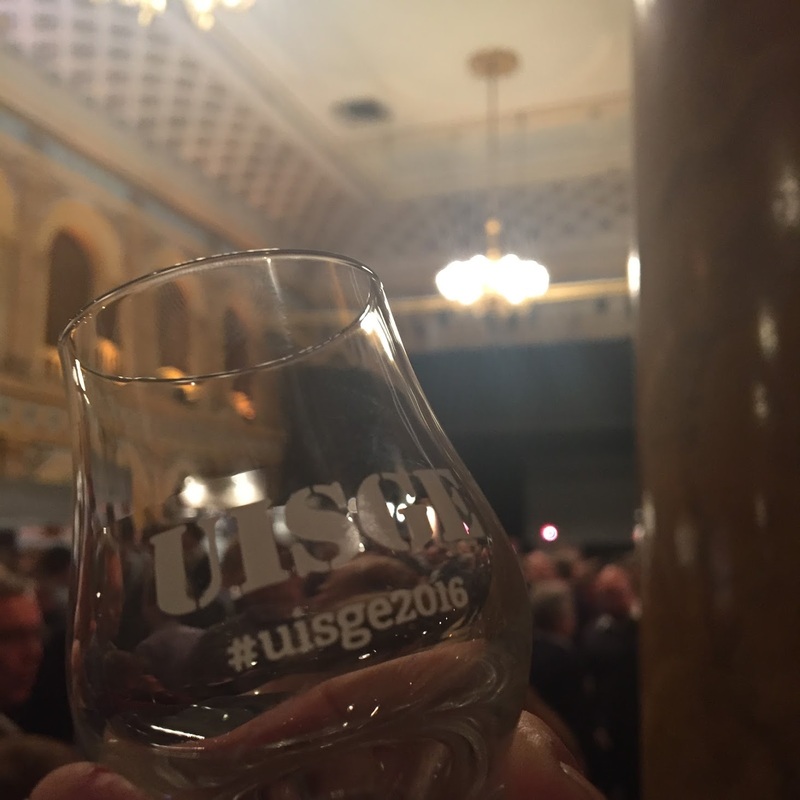 In fact, I’ve ended up joining a few whisk(e)y societies while at Uisge. The price of the entry fee includes a custom-printed Glencairn Whiskey Glass so you can nose & sample the water of life in an optimal setting. Ice water is also complimentary so you can wash your palate. All in all, a night at Uisge is guaranteed to leave you smiling. Make sure you bring along a notepad to record your impressions and note down your favorites because, this being Scandinavia, you couldn’t buy a bottle to take with you even if you tried. Tix are available at the door, but to guarantee entry I’d recommend buying in advance through Tiketti. ps. Due to Finnish legislation, Uisge can’t actually promote the event or even have proper website, but somehow, it’s grown quite popular still. And for further info, you can always look them up on Facebook, under UISGE Viskifestivaalit. Sometimes, as much as we’re fond of her, we want to get away from Helsinki. Like this past weekend, when we chose beautiful Copenhagen, to visit friends who’ve moved there. We’d booked a super-central flat through AirBnB for six. Bit of a posh location, easily within walking distance from the center of the action. With some early-bird flight tickets, the weekend ended up being more than reasonably priced, too. We’d chosen to arrive on the day when the snow falls. On other words, J-dag, the first Friday in November, when Tuborg’s Julebryg Christmas brew is launched in all bars at 20:59. That means it’s definitely a party all around, with plenty of commercial silliness, cheap drinks and liters upon liters of dark Christmas beer. Imagine a Nordic St. Patrick’s, in blue instead of green. In 2016, it’ll be 4 November. If you’re going, remember to stock up on Santa hats, beanies, bunny ears, capes, bow ties, t-shirts, stewardess’ skirts and more. Bunny ears especially seemed to attract attention, right to the point of people offering to buy them off your head . If you fancy making a quick buck 200 DKK seemed to be the going rate. To regain our strength we went for lunch at one of our all-time Copenhagen favorites — Sporvejen – that offers some of the best burgers in all of CPH, along with some quality craft beers. What makes the place special, apart from the food, is the lovely service and the absolutely lovely décor. For anyone from Helsinki, trams are a key symbol of our city, and although CPH did away with theirs decades ago, this one has survived. The place feels like you stepped into a tram that’s parked inside a building. Inside, it’s small tables and a near-intact tram interior, complete with old tram seats and old-time advertising. Outside there’s tables for bigger groups, with heat-lamps and blankets, so you can enjoy your meal outdoors too. Sporvejen’s very kid-friendly, as well, so if you’re travelling with kids, make sure to look them up on Gråbrødretorv, right off of Strøget. The rest of the day we spent shopping and sightseeing around, Nyhavn, the Round Tower (Rundetaarn) etc. before heading for dinner at the Australian-themed Tight. The place proved to be pretty nice. The envy-inducing Flank steak as well as mussels proved to be the best mains. The burger wasn’t really up to its rep, especially after Sporvejen. In the evening we also did a quick hop over to the hipper Østerbro neighborhood before returning to the city. On Sunday, we headed west, to Copenhagen’s very own meat-packing district — Kødbyen — as hip as its NY namesake and a brilliant brunch at Kødbyens Fiskebar. Oysters for starters, followed by mussels and more. Tasty, super-fresh. Definitely worth a visit if you’re around. To finish the day, we had some going-away smørrebrøds and did some last minute shopping back in the City. Then it was down to the metro, and 20 minutes later we were at the Airport. Convenient, fast and back in Helsinki by midnight. Not bad for a weekend getaway. So, whether you do as locals do and head for the countryside or choose to go abroad to another Nordic or Baltic Capital, or even St. Pete for that matter, you’re continuing a local tradition. Helsinki is well connected.